Quiet and serene, light, bright and airy, are only a few words to describe this impeccable 4 bed 2.5 bath home thatâs been meticulously maintained by a single owner. 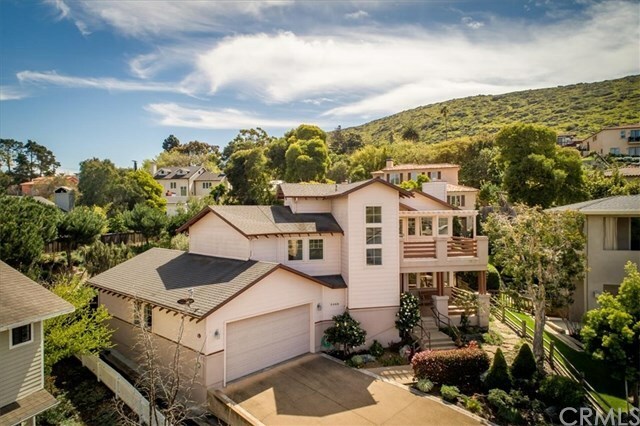 At the top of the cul-de-sac, with amazing views from your front porch and terrace of Cerro San Luis and lush greenery, this home features hard wood floors, gourmet kitchen with cherry cabinets, walk-in pantry, two fireplaces, and fabulous access to the outdoors, perfect for entertaining. The master suite is truly an oasis offering two walk-in closets, ensuite master bath with double sinks, walk in shower and separate soaking tub, along with your private terrace to sip on your Sunday morning coffee. Enjoy the backyard, a quiet getaway, which has beautiful flowers and citrus trees. The oversized two car garage even has room for a workshop. Enjoy all of the amenities of being close to downtown, yet situated on a quiet street in a well-established neighborhood and only 2 blocks from Meadow Park and South Hills open space. Donât miss your happily ever after! Directions: 101 to Marsh to South St. to Meadow St. to Woodbridge to Ladera Ct.